AAC is very affordable for anyone who owns their own business. They have incredible software that allows us to track students, histories, and more. 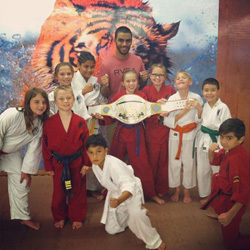 Established in May 1994, Tiger’s Den Martial Arts & Fitness was the realization of Master Zuhair Hillail’s dream to own his own Martial Arts school. 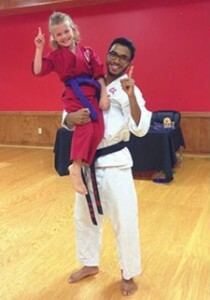 His love of the art and teaching encouraged him to open a school that offered after-school programs and Martial Arts training. After six years of growth and success under their belt, Tiger’s Den hit capacity at their initial location in 2000. With that growth came many challenges including finding the time to manage payments, student contact information and pursuing accounts that got behind in payments. Not only was Tiger’s Den ready to expand beyond their initial location and physical presence in Houston, they were ready to reach out and get support from a payment processing and billing service. Master Zuhair’s prime objective was to find a company that could provide him a service, yet allow him to manage his business as he saw fit. After investigating several options, he determined that service cost and fees were the most affordable with Affiliated Acceptance Corporation (AAC). As a bonus, he found that AAC’s software enabled him to track his student information, belt levels, history and testing information.